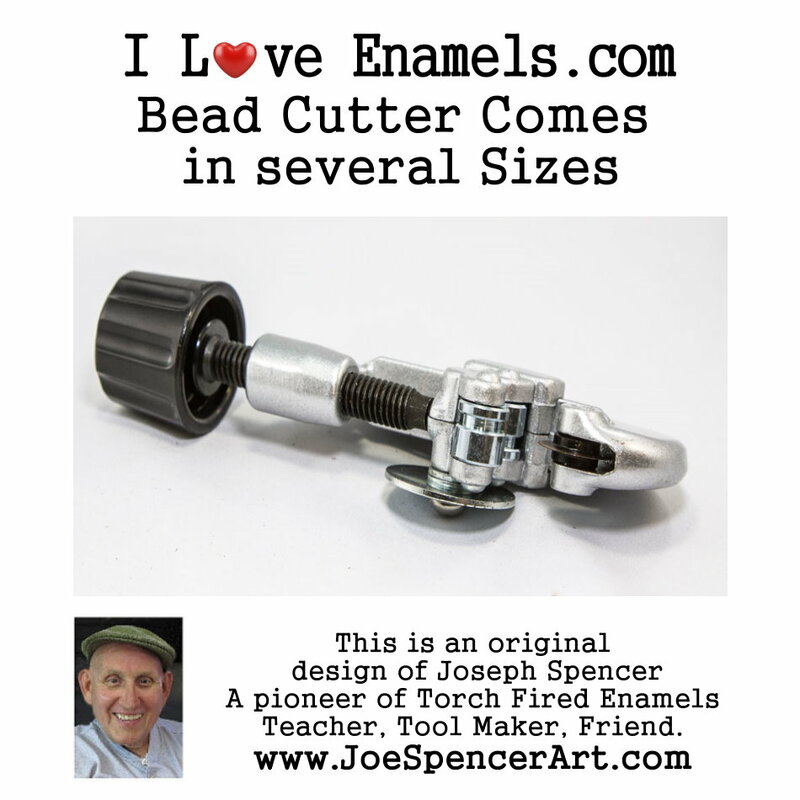 Our bead cutters help aid artist in making uniform and consistent beads time and time again. 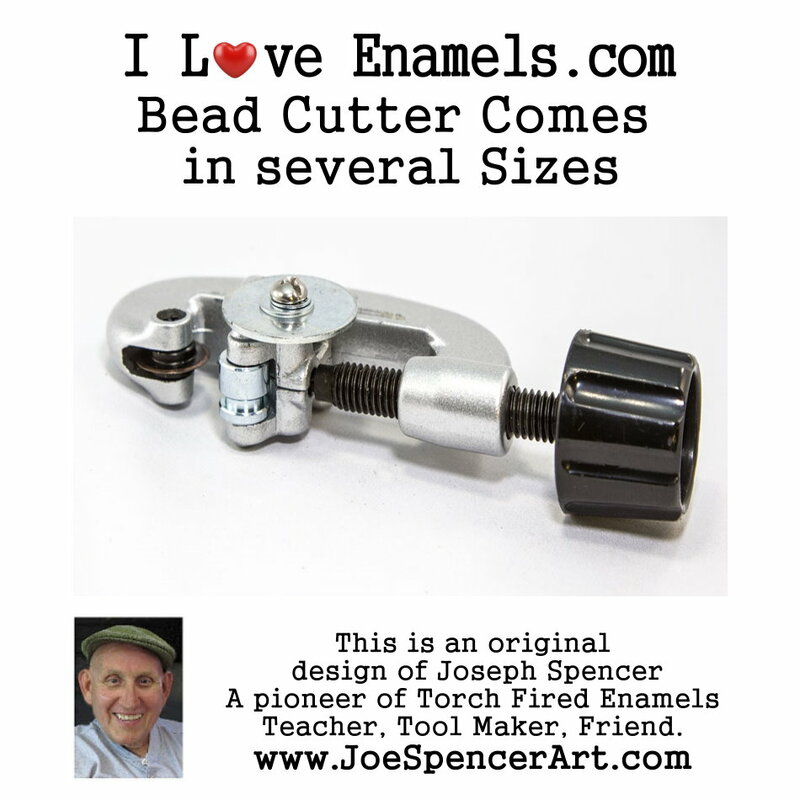 If you make beads this is one tool that you must have. Have you tried making beads with your copper tubing? If so you know its no fun at all to sit there and make your marker lines, on the copper. Then you hope the marks don't come off with you touching them. Then you hope and pray that you marked correctly before you start cutting.Its just plain out right hard to make the same size bead over and over. Not to mention the time factor. Well those days of marking your copper tubing are over. 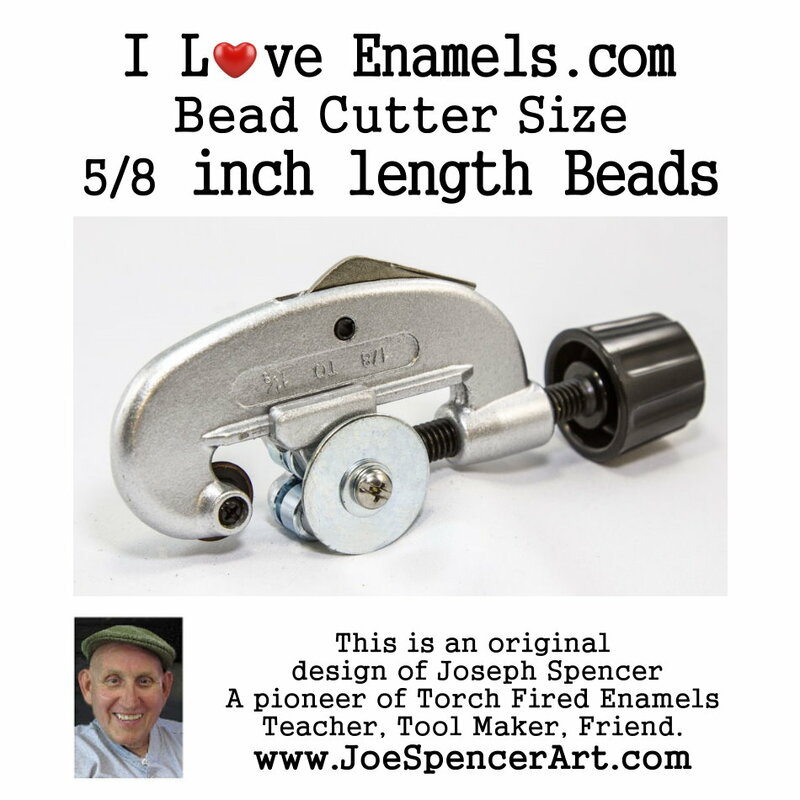 Use any of our bead cutter sizes to make or repeat making uniform beads each and every time. Our Bead Cutters help artist keep their sanity. Simply insert your copper tubing in your copper cutter as you normally would. However we have set up our cutters to stop the tube and keep it in place. Simply start cutting as you normally would, slow and steady wins the bead, as they say. You can hold the bead cutter in your hand to use. We recommend that if you have many beads to cut you can also carefully put the bead cutter into a vise grip, which will make your work easier. All our products come from a perfume free, smoke free, pet free environment.